Posted on November 9, 2016 at 7:36 pm. A Good Time for a Good Cause! Posted on October 20, 2016 at 7:16 pm. 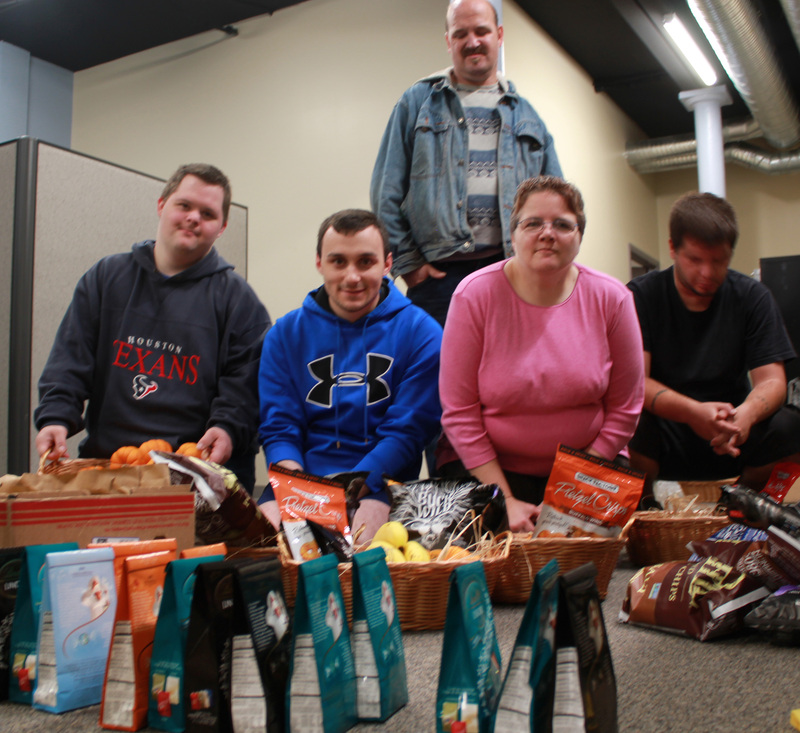 As long-term advocates of disability inclusion in the community’s work force, Employment Connection will participate in National Disability Employment Awareness Month by commemorating the local businesses who employ people we support. Initially, the Agency offered educational opportunities for children with intellectual disabilities through the Children’s Learning Center. Later, As the children grew into adulthood, the Agency began offering vocational and employment opportunities, which led to the Agency’s work centers, SubCon Industries in Olean and Salamanca. About 20 years ago, the Agency realized the need to offer community employment. 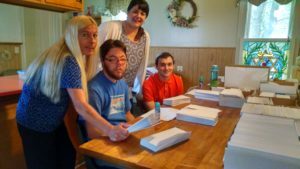 While recently the government has called for an end to sheltered work shops and an increase in community employment for people with disabilities, the Agency was already well ahead of those new mandates. Photo: Zack, Adam, Darcy, Tim, and Todd (standing behind Darcy) joined to artfully assemble 25 baskets to deliver to their employers in gratitude for their jobs. Today, the Agency’s Employment Connection actively prepares people, and finds them in jobs in the community. As much as it is Employment Connection’s forward-thinking, successful employment is clearly a shared achievement by local employers who took a chance on our people. They are the real heroes to those who are now employed. Without their faith in our people, many might not be living with the high levels of independence and quality of life they enjoy. The number of employers in the area who have hired people through Employment Connection is up to 25. The Agency is deeply grateful to all of them, which include: SCS, Ponderosa, Holiday Inn, Allegany Country Transit / First Transit, ReHab Center residences at Fall Rd., Henley Rd. and Buffalo Rd., Aramark, Park and Shop, Mazza, Walmart, St. Bonaventure University, Best Western Hotels, Cattaraugus County DSS, Absolute Care, Head Start, Tops Friendly Markets, Healthcare Services at The Pines, St. Mary’s Church, Holiday Valley, City of Olean, Fred’s Contract Cleaning, Burger King, and Pete-As Ria. This year’s National Disability Employment Awareness Month (NDEAM) theme is “#InclusionWorks, and highlights the value of a diverse workforce inclusive of their skills and talents. Posted on October 12, 2016 at 3:39 pm. 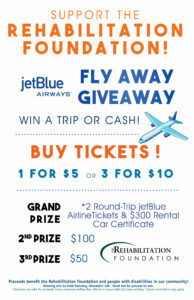 Win A Trip or Cash! Can’t stop in but want a ticket? Posted on October 7, 2016 at 1:59 pm. The Rehabilitation Foundation held its annual Scholarships and Awards Reception last week to support employee professional development. Posted on September 19, 2016 at 4:09 pm. Posted on September 15, 2016 at 2:46 pm. 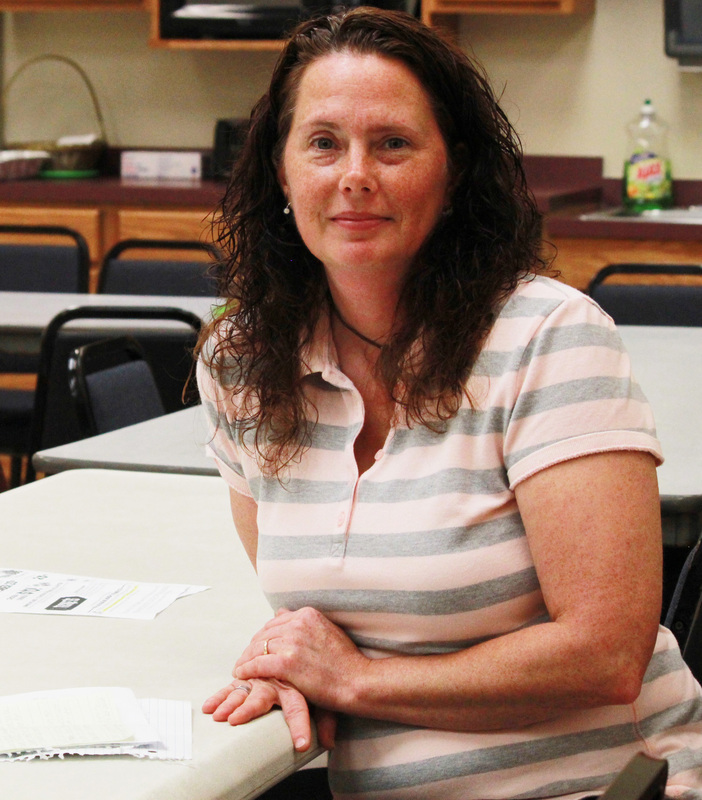 Lisa Powless, who is a DSP III / Behavior Tech at Lifeskills, has worked for the Agency for 13 years. 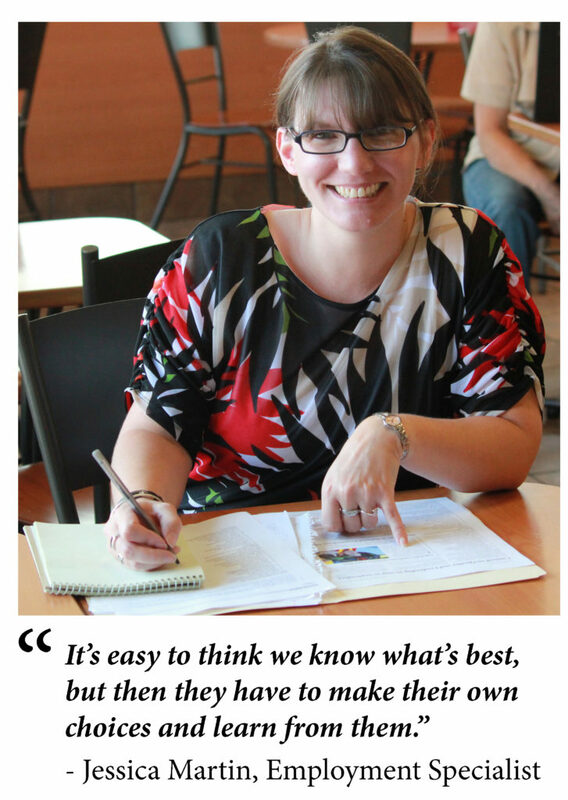 She began her career at the Children’s Learning Center working with children with Autism. Later, she worked part time until transitioning to full time in December of 2008. She completed certification testing as a registered Behavior Tech in April, 2016. Posted on September 15, 2016 at 2:15 pm. 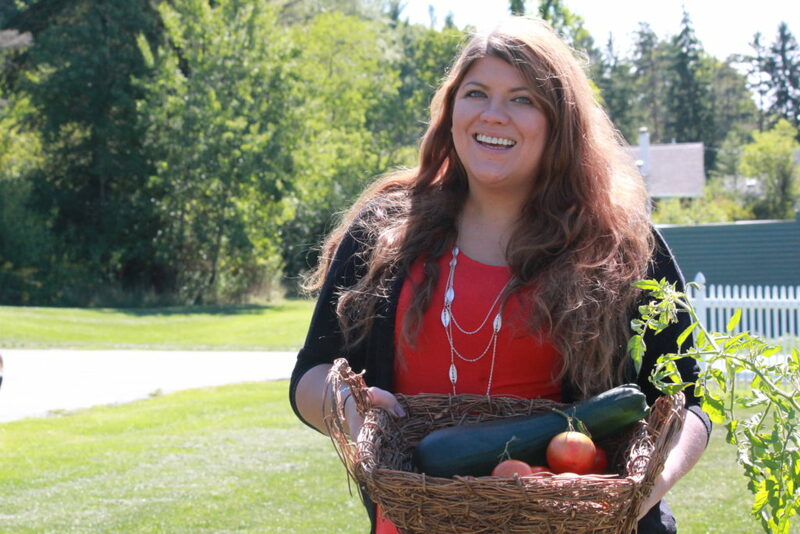 Jessica Martin, The Employment Connection’s Community Employment Specialist, supports people’s journey into community employment. In her role, she is a combination of a job agent, coach and personal cheerleader, urging the people she supports to overcome hurdles to achieve their goals. Sometimes, that may mean going with changes she doesn’t think are best for the person. But, Jessica feels her work as a Direct Support Professional is to encourage the person to make choices and learn from them. Sometimes they work out, sometimes not. In this case, it worked out. “If a job is what they want, I say, ‘Great, let’s get started.’ But, if they want to move on from the job, it’s all about what they want, and I just say, ‘Ok, let’s look for something else,” she said, adding about one particular case in which someone she helped get a job, wanted to leave and work elsewhere, a choice Jessica didn’t favor, but went with it anyway. As a good parent has to let their child experience the consequences of their choices, that’s also true for the people she supports. She feels it’s important for a person’s self esteem and empowerment to grow from mistakes and learn to overcome their own challenges. Each one gives them the confidence to embrace another hurdle and with each success comes greater self-esteem. Posted on September 13, 2016 at 4:20 pm. 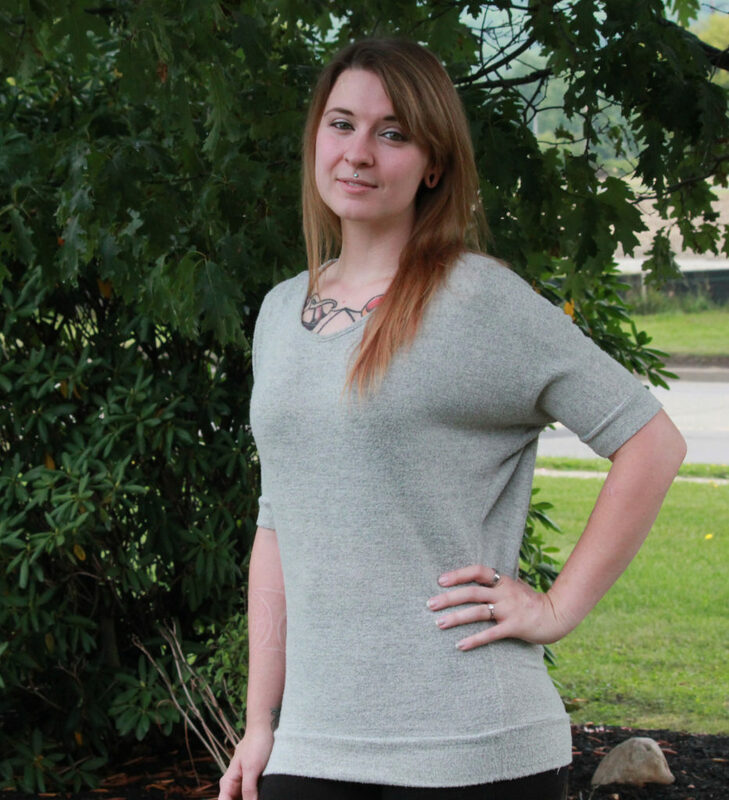 Alyssa Richardson began her career with the Agency at the Children’s Learning Center. Since, she has worked for several of the residences as a Direct Support Professional, including Hinsdale, Fall Road, Buffalo Road, Five Mile, and now at Prospect Avenue where she’s worked since December, 2015. She is now med certified and working on a degree in nursing. Posted on September 2, 2016 at 7:01 pm. Who’s Ready to Laugh for a Good Cause? 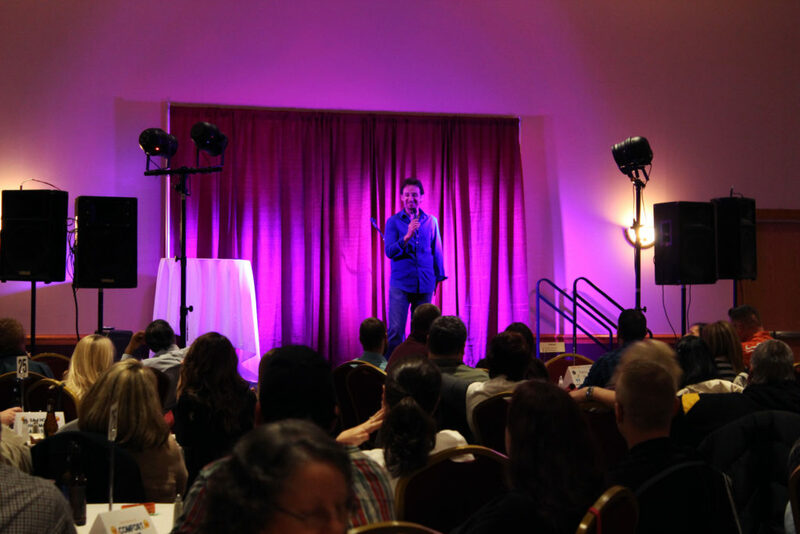 Thank you to all who joined us for 2016 Comedy Night. Hope to see you next year! Posted on August 30, 2016 at 6:19 pm. Don Salter’s internship working at the Best Western Plus hotel in downtown Olean helped him discover what it’s like to work in an active downtown hotel. 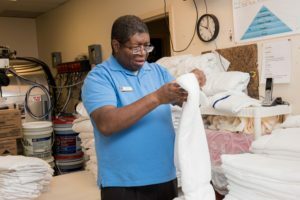 As part of The Rehabilitation Center’s Pathway to Employment program, he stepped into all aspects of the hospitality business to determine if that’s the kind of work he’d like to do on a permanent basis. Posted on August 22, 2016 at 6:58 pm. 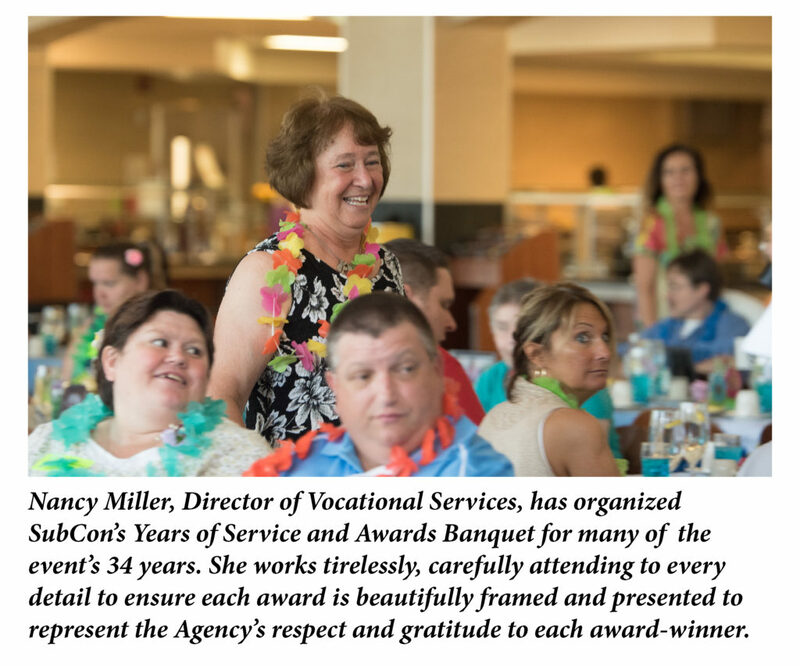 The 34th annual SubCon Years of Service and Awards Banquet, held last Tuesday in St. Bonaventure University’s Hickey Dining Hall, was another year to remember. Posted on August 4, 2016 at 2:18 pm. 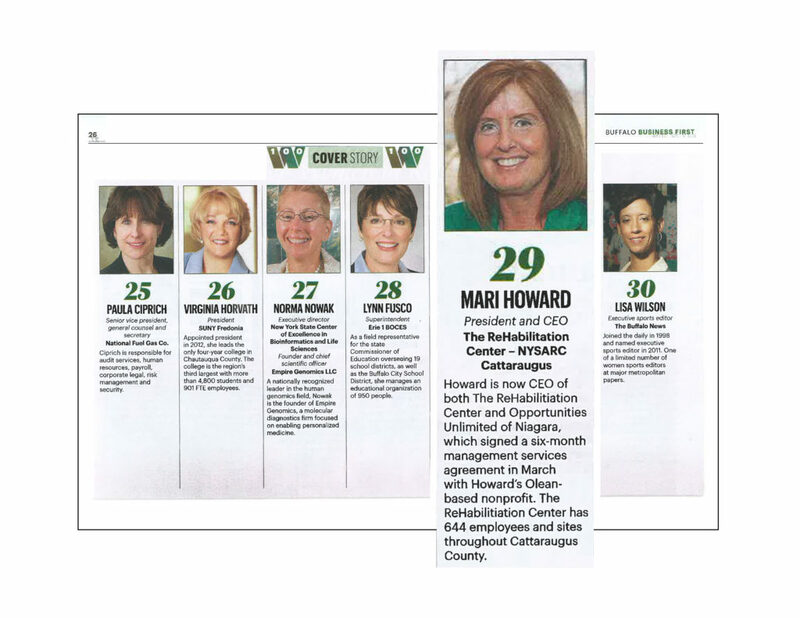 The Rehabilitation Center is proud to announce that Mari Howard, president and CEO of both The ReHabilitation Center – NYSARC Cattaraugus, and Opportunities Unlimited of Niagara, was named among Buffalo Business First’s Power 100 Women in Western New York. The cover story is in the July 29, 2016 issue. Posted on August 3, 2016 at 6:08 pm. 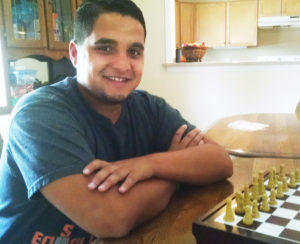 Julian Martinez draws from a well of wisdom to connect with the young people he mentors at the Community Residence in Olean. 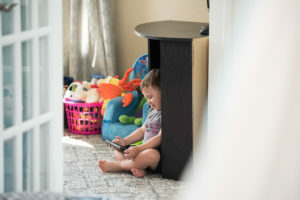 residents who needed a greater level of care, he has since learned that laughter and play are key to supportive bond-building. “At first, when I had to help someone in the bathroom, I didn’t know if I could do this work,” he said, recalling an experience which caused him to doubt his ability to give someone a shower. Posted on August 1, 2016 at 4:24 pm. A long time ago, in a galaxy far, far away . . . Suzi wanted a spoon ring. 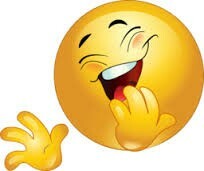 But, the cost of the precious jewelry was a deterrent to its purchase. Then, Angie had an idea. She realized she could make one, even purchase all the tools to make it, at a much lower cost than purchasing it. So, she did. 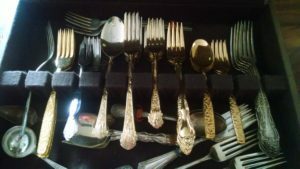 In fact, she not only made a spoon ring for Suzie, but she made hundreds, maybe thousands, of them for almost anyone who wanted one. And, thus, they grew their business, “Our Twisted Tree,” which includes other items born similarly out of the imagination of both women. Posted on July 28, 2016 at 2:49 pm. You dine out. They donate! Purchase a chicken dinner on Friday, September 23rd from Tredway’s Pit Stop, and a portion of the proceeds will be donated to the Rehabilitation Foundation! Side choices : applesauce, tomato/cucumber salad, macaroni salad, potato salad, salt potatoes, BBQ beans, coleslaw. Pre-sale tickets are encouraged, and include a ticket for our *dine-out door prize! Order Pick-up is from 11am-4pm at Tredway’s Pit Stop. Regular take-out orders are available from 11am until sold out! 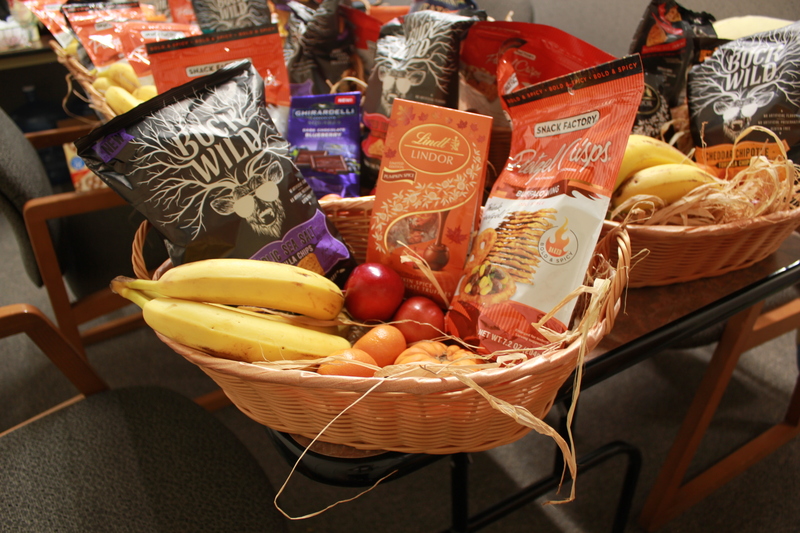 Delivery is available for large group orders in the immediate area. Please contact us directly to place those orders. *Our dine out door prize includes either a basket of picnic goodies, or items and certificates from local businesses! Posted on July 15, 2016 at 3:15 pm. 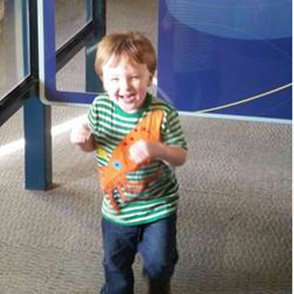 He’s beloved by the staff at Allegany’s Lifeskills. It could be that he’s a delightful philosopher, a deep thinker with a dry wit. While Tim Barber lives with some challenges, his support within the agency helps him find ways to live his life the way he wants it to be. “We want people to feel engaged and empowered,” Kim Baker Behavioral Health Services Manager and Tim’s advocate, said. Posted on July 15, 2016 at 12:28 pm. Posted on July 6, 2016 at 5:29 pm. We’re hiring people who care about people. In fact, we have several openings for Direct Support Professionals to work in any one of our 18 residences. Your job might entail cooking with the residents, enjoying the laughter and joy of being in a family-like environment or an overnight shift keeping a watchful eye on the home. If you’re a caring person and want to make a difference in someone’s life, stop by our hiring event, fill out an application and you’ll get an interview on the spot. Our Hiring Event is from 9 am to 2 pm Monday, July 18 at the ReHab Center’s Administration Building, 1439 Buffalo St., Olean. You can also send your resume ahead to dclark@rehabcenter.org to get a head start. Posted on July 5, 2016 at 7:19 pm. 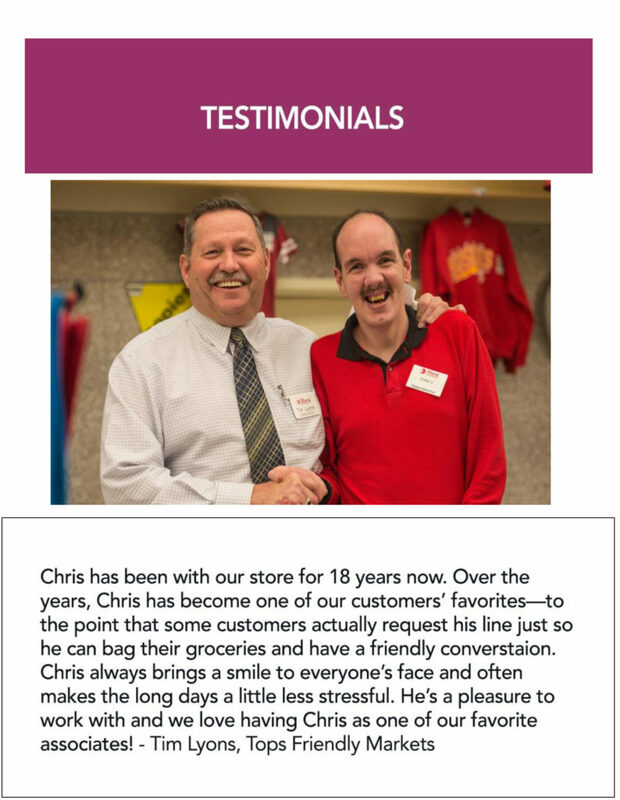 Chris Caldwell, beaming a proud smile, admits to his popularity at Tops Friendly Markets in Olean, where he has been bagging groceries for 18 years. Fitness in the Park Olean – First Event Success! Posted on June 24, 2016 at 4:04 pm. Olean, NY – The ReHab Center and City of Olean’s first of five “Fitness in the Park” Zumba classes drew more than 50 people to Gargoyle Park yesterday. The classes are led by Lilian Dirito who has her own practice for Zumba and health and wellness in Ellicottville. They were all ages and levels of fitness, but all were enthusiastic about the unique opportunity to dance together outside on a beautiful Olean summer evening. Posted on June 15, 2016 at 4:59 pm. 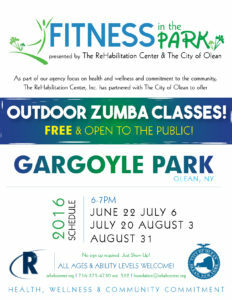 Olean, NY – If Olean’s warm summery evenings have you wanting to get out and play, come on over to Gargoyle Park for free fun-filled outdoor Zumba classes. Open to the Public! Posted on June 13, 2016 at 6:14 pm. Thanks to all participated in our 2016 Weekday Jackpot Drawing! 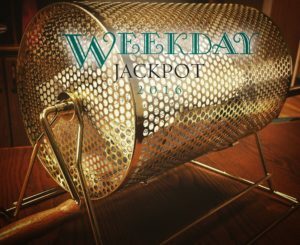 The Weekday Jackpot gives you 51 chances to win $100-$1,000 for $25! The 2016 Jackpot has ended, but stay posted to get your 2017 tickets! Proceeds from the Weekday Jackpot Drawing benefit The ReHab Foundation Learn More Here. Angie Ritchie is a HERO! Posted on May 19, 2016 at 9:17 am. Angie Ritchie, pictured left, has just been named a local hero by the Child Mind Institute’s 2016 Change Maker Awards. The Change Maker Awards celebrate people that are creating real, meaningful change for children struggling with mental health and learning disorders. Angie is a parent to seven children and has fostered 15 children. 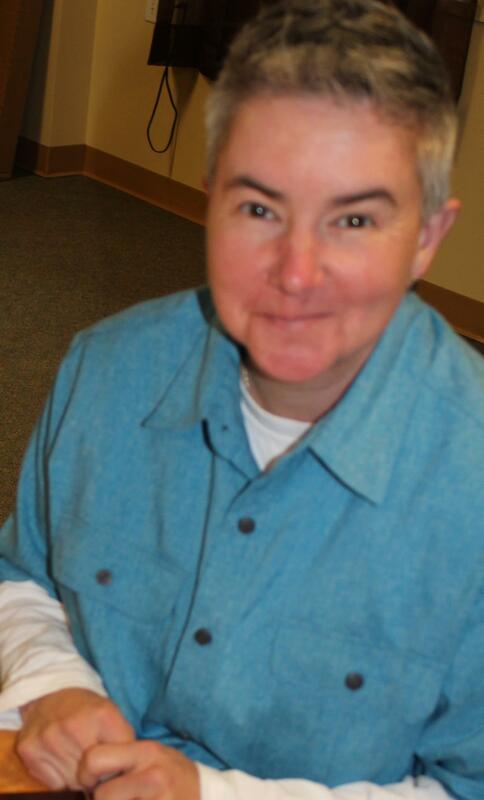 She is the agency’s supervisor of Family Support Services and is a family peer advocate. Way to go, Angie! You rock big time! Posted on April 1, 2016 at 10:46 am. 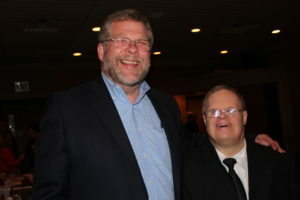 Olean’s brightest stars came out Friday night, April 1, to support The Rehabilitation Foundation’s elegant Seafood Fest 16 which reeled in a whopping catch of more than 220 attendees. As Dan Carter’s auction chant rang out in the glittering candlelight of The Old Library Restaurant, dozens of individuals and corporations responded generously by purchasing lobsters and porterhouse steaks for hundreds of dollars. 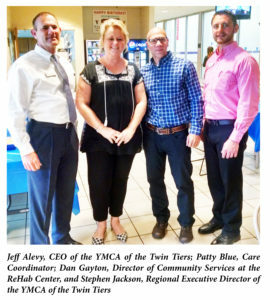 Together they dug deep and gave unsparingly to the important work of The ReHab Center throughout Cattaraugus, Allegany and Chautauqua counties benefitting hundreds of people with disabilities. Posted on February 15, 2016 at 7:12 am. The ReHabilitation Center has initiated a significant effort to complete a comprehensive self-assessment process in preparation for an onsite review by the Council on Quality Leadership, CQL, in late fall of 2016. Posted on January 19, 2016 at 6:07 pm. Determining what gift is right for you is just as important as making the gift. Our hope is to work with you to determine what you wish to accomplish for yourself, your family and your charitable interests. 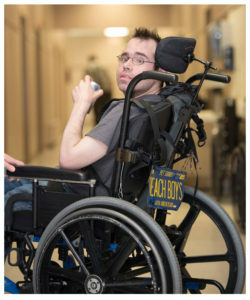 Your tax-deductible donation to our annual fund, allows the Rehabilitation Foundation to continue providing financial assistance to the Rehab Center’s supports, services and people, as they need it. Celebrate a special occasion, honor family members and friends, remember special people or offer condolences with a gift to the Foundation. Your gift is tax deductible in accordance with the law. This restricted fund within the endowment at the Rehabilitation Foundation has been designated to provide an income to support annual holiday celebrations within the continuing day treatment programs Abby attended. In November 2008 the Abigail V. Dulmus Holiday Celebration Endowment was created by her family with an initial donation. This fund supports two things that she particularly loved – holidays and friends. The fund provides financial support for an array of CDT holiday celebrations throughout the year including Valentine’s Day, St. Patrick’s Day, Halloween, Thanksgiving and Christmas. Abby’s family chose this specific purpose because they knew how much joy she received from each and every holiday celebration and thought it would be a wonderful and fun way to honor her memory, and allow all of us to continue celebrating for her. The beauty of this endowment is that Abby’s memory will continue in perpetuity to ensure a measure of celebration at holiday times that might not otherwise occur within these programs due to not-for-profit funding constraints. These modest holiday celebrations have a great meaning to those in Abby’s programs. This fund was established in memory of Barbara “Barby” Ried, a longtime SubCon employee. One of Barby’s favorite parts of SubCon was attending the holiday parties and social events, inspiring her siblings’ decision to establish this fund after her passing in June of 2016. The Barby Ried Social Fund will provide annual grants, of up to $1,000 per year, to the SubCon division for holiday/social/entertainment activities and events to enhance the working experience of SubCon employees. Posted on August 20, 2015 at 8:57 am. 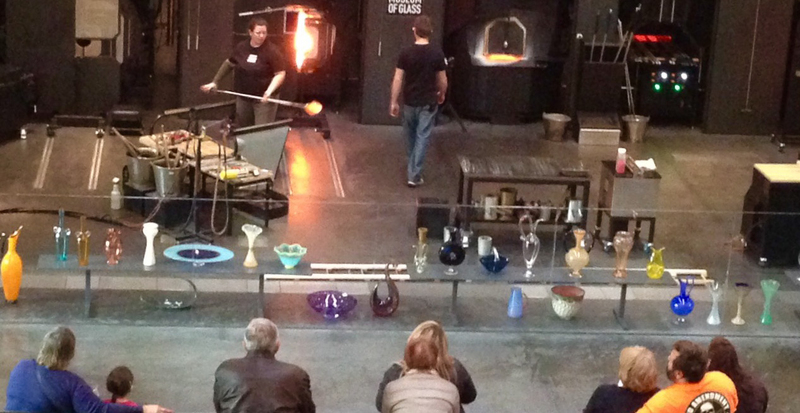 Children and their families watch a live glass-making demonstration at the Corning Museum of Glass, Corning, NY. Family Peer Support Services achieved a double win at the Rehabilitation Foundation’s annual Scholarship and Awards Reception on August 19, 2015. It earned both the Roger Hennig Memorial Art Enrichment Grant and The Patrick J., Jr. & Rita L. Carroll Memorial Award for its innovative use of art to support families of children and youth with mental health issues.